Home / videos / Oppo F9 Pro Network Unlock By Gsm Solution Tool. 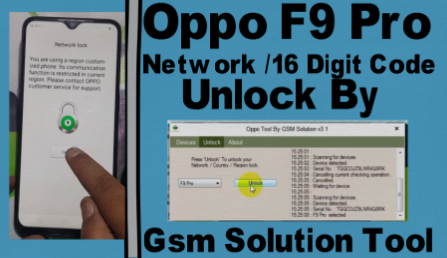 Oppo F9 Pro Network Unlock By Gsm Solution Tool. How To Oppo F9 Pro Network Unlock? 13# Now your oppo F9 Pro network unlocking job complite.